It's been said that those who cannot learn from history are doomed to repeat it. But what if you'd kinda like to repeat it? Or at least lovingly recreate a small portion of it? 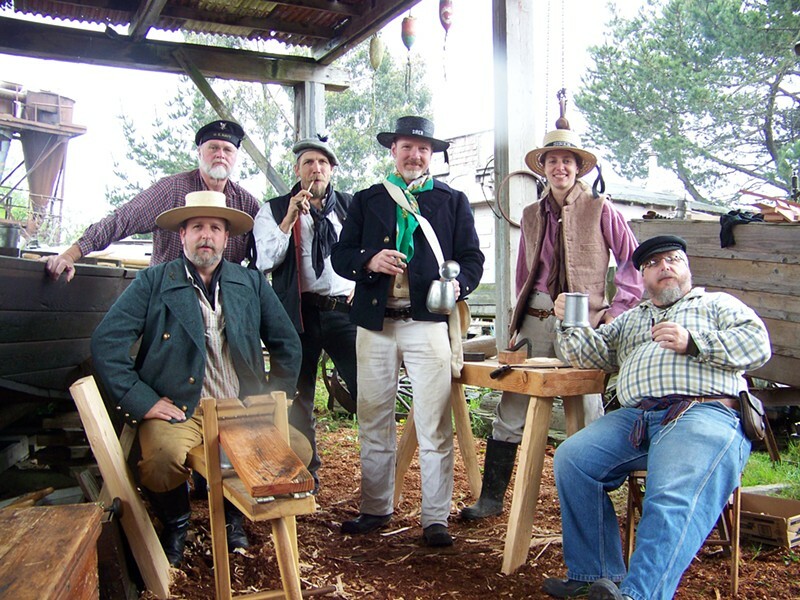 Blue Ox Millworks: Living History Day coincides with Blue Ox's 10th annual May Day Artisan Faire. From 10 a.m. to 6 p.m., in addition to the abundance of local crafts available for purchase, the historic park will bustle with blacksmithing, woodworking, looming and shipbuilding and other demonstrations. There's almost too much music with -- deep breath --The Compost Mountain Boys, Pilot Rock Ramblers, The Tumbleweeds, Striped Pig Stringband, The Trickle Downs, Mirth First, Joe Garceau, Lyndsay Battle, Jan Bramlett and Calleaghn Kinnamon keeping it mostly bluegrass/folk-y. Hungry? They got barbecue. Thirsty? Have a local microbrew. Admission is $8 for adults and free for kids under 12 (who will dig the puppet show). Proceeds benefit Blue Ox Youth Community Radio, 97.7 KKDS-LP. Fort Humboldt: Ulysses S. Grant's old stomping grounds are open from noon to 5 p.m. to illustrate "Life on a Frontier Fort." (Grant, incidentally, was miserable here.) Admission is free, but donations are accepted. Clarke Historical Museum: Along with its usual local, historical exhibits, the one-time bank building hosts Native American stone tool-making demonstrations 11 a.m.-4 p.m. $1 admission. The Madaket: Humboldt's 101-year-old maritime institution -- "if she hasn't sunk yet..." -- hosts historical, narrated cruises at 1 p.m. and 2:30 p.m. as space permits. Admission is $5 plus two non-perishable food items. Samoa Cookhouse: Eat like a logger! On Saturday the usual hearty eats are complimented by special 1800s food offerings and interpretive tours of the adjacent museum by costumed guides. Regular business hours. Maritime Museum: Next door to the Cookhouse, learn about the history of Humboldt Bay through artifacts, photographs and more. $1 admission. Headwaters Forest Reserve: Guided tours focusing on the experiences of the women of Falk leave from the Elk River trailhead at various times between 10 a.m. and noon. Free admission. Here's your added incentive to float around: Passports distributed at each of the seven locations. If you get stamped at four of 'em, you'll be eligible to win one of the many prizes donated by local businesses. So burn that gasoline, citizen. Make history. For more info, email humlivinghistory@gmail.com.